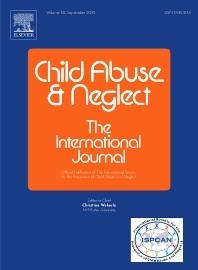 Child Abuse & Neglect is an international and interdisciplinary journal publishing articles on child welfare, health, humanitarian aid, justice, mental health, public health and social service systems. The journal recognizes that child protection is a global concern that continues to evolve. Accordingly, the journal is intended to be useful to scholars, policymakers, concerned citizens, advocates, and professional practitioners in countries that are diverse in wealth, culture, and the nature of their formal child protection system. Child Abuse & Neglect welcomes contributions grounded in the traditions of particular cultures and settings, as well as global perspectives. Article formats include empirical reports, theoretical and methodological reports and invited reviews.